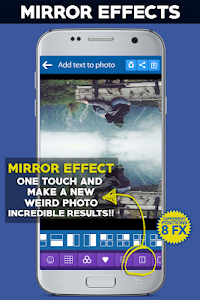 If you are looking a simple way for adding text to photos, download our free photo editor app! 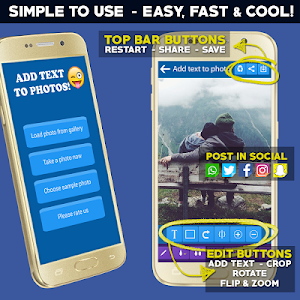 You're just about to install a brand new simple photo editor app that lets you add your personal text, stickers, and messages to your favorites pictures. Decorated photo will be ready to be shared and saved in seconds! 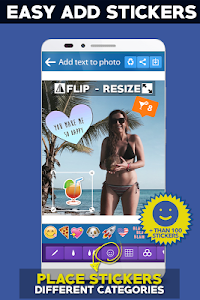 - Add texts, stickers, emojis, dates and time stamp to your photos and preserve your memories forever! 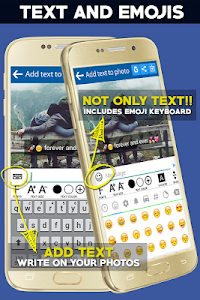 - Share your images on social apps installed in your device. NOTE: Saved Pictures are stored in your device gallery in folder "PhotoApp". Please, rate us if you like our App! 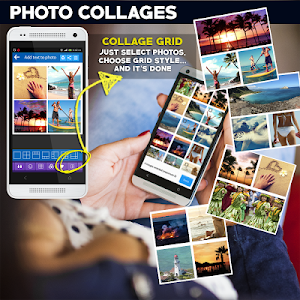 (★ ★ ★ ★ ★) - We updated and add new features to our photo editor very often! Keep updated. Write on pictures it´s a nice memory forever! 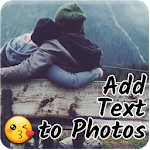 Add some funny captions to your photos in seconds.. add funny stickers, memes, texts and much more! By adding a text on Images or giving a caption to the photos describes the images at its best. When a photo is described through its captions or through quotes it gives an amazing feeling when the photos it´s a gift to someone. Add best stickers.. from your food stickers, to USA stickers and much more! Add time and date stamps so you can always remember your special moments; turn pictures into text, put watermarks on photos and create your unique postcards. Remember.. 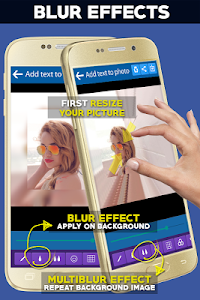 If you type words on pictures, you save your moment with unique photo memories! 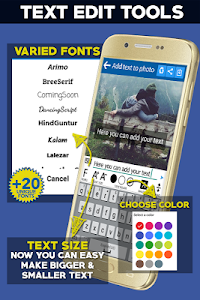 An excellent opportunity to write on pictures of your cherished moments and decorate them with an original background..
- We added new cool fonts: "Permanent Marker style" font, Slackey Old school style font and more!! - Photo samples gallery added to use as background & add your text in seconds! 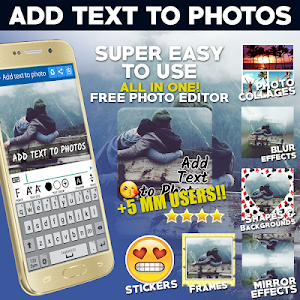 Similar to "Add Text to Photo App (2018)"